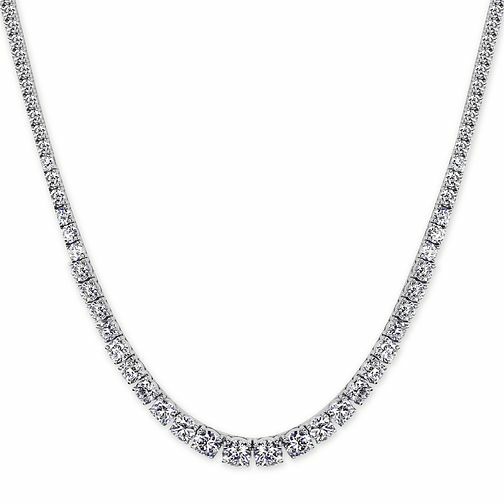 Unique and sophisticated, this beautiful silver tennis necklace, is a charming addition to any outfit, taking you from day to night effortlessly. A beautiful piece that's sure to turn heads. CARAT* blends timeless glamour with modern day wearability to deliver luxuriously fine jewellery.